On 8 November 1845 thirty-three year old Sarah Webb, nee Rolfe, tragically died during childbirth. During her lifetime she was a pioneer in the Canberra region, but it was her death, one hundred and seventy-one years ago, that catapulted her to fame. Born in England around 1812, Sarah was only nine when she arrived in Sydney with her mother Elizabeth. They had sailed on the Duchess of York following in the wake of Elizabeth’s second husband, who had been sentenced to fourteen years transportation in New South Wales. Sarah quickly began work as a servant in Liverpool and later met convict George Webb. 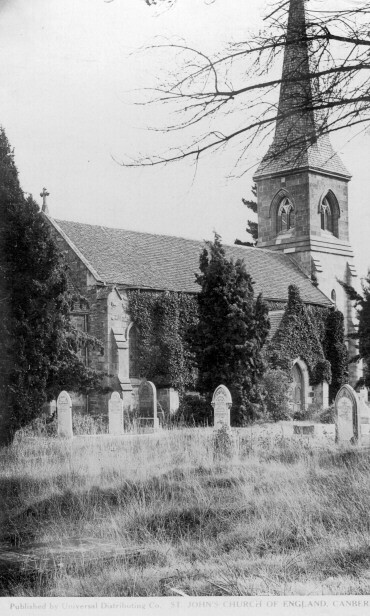 They married at St John’s Church of England, Parramatta in 1828, when Sarah was seventeen years old. That year, Sarah’s mother, Elizabeth, and stepfather, Timothy Beard, started work at Lanyon Homestead in the Limestone Plains, on the very limits of European occupation. There were already several other settlements in the region, including Robert Campbell at Duntroon and Joshua John Moore at Acton. Sarah and George, who had been granted his freedom in 1832, followed them shortly after with two small daughters in tow. Their third and fourth children were born soon after. George was able to acquire a License to Depasture Stock in 1837. At a cost of £10 per year, they leased 2,560 acres across the river at the foot of the mountains, at a place called Tidbinbilly. That area was (and still is) a significant site for Aboriginal people and the Webbs were the first Europeans to settle there. 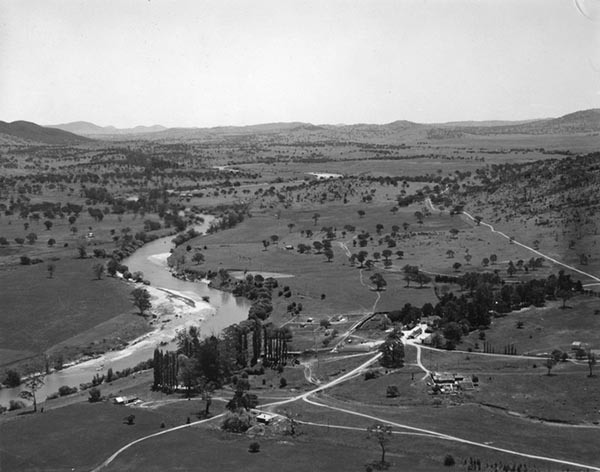 Sarah was probably the first European womea to set foot west of the Murrumbidgee river. She gave birth to another four children at Tidbinbilly and together the family ran horses and cattle. Despite the growing number of Europeans in the area there was still very limited infrastructure, and life would have been quite isolated. One Webb child, Caroline, died aged only five. Drought conditions prevailed and the Murrumbidgee stopped flowing for two years. Their horses strayed to the mountains and went wild. Supplies ordered from Sydney were often stolen by bush rangers, or even one time, by the driver himself. Sadly, just as the drought was ending, tragedy struck again and Sarah died giving birth. The child did not survive either. The only local doctor (in the new town of Queanbeyan) was not able to attend, given the distance and state of the roads. Sarah left behind her husband George and remaining children; Eliza (14), George (11), Betsy (8), Joseph (7), William (4) and Charlotte (2), as well as her mother Elizabeth. She was buried on 12th November at the newly consecrated Church of St John the Baptist. Hers was only the second headstone erected. The headstone, chosen by one of her sons, reads ‘For here we have no continuing city but seek one to come,’ a slightly inexact quote of Hebrews 13:14. The biblical passage refers to a heavenly city hoped for by believers. Within a fewof decades after Sarah’s death it became apparent that the Limestone Plains was going to be the site of the future capital city. 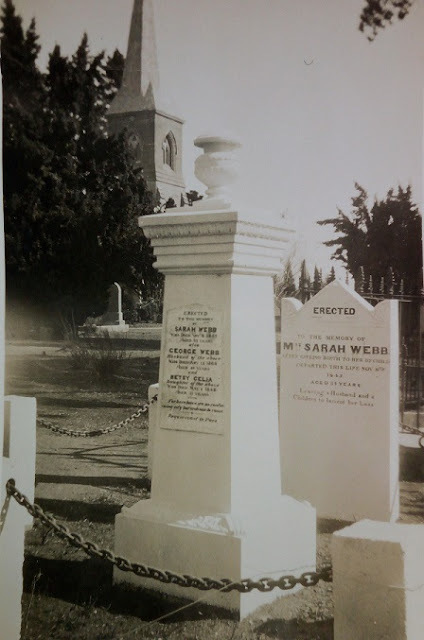 The quote on Sarah’s headstone started attracting notice, with many taking the passage to be a strange and coincidental prophecy of the coming city of Canberra. The prophetic tombstone or ‘Prophet’s Tombstone’ as it eventually was known, rather quickly, became a local landmark with travelers such as William Glover going out of their way to visit it. By 1949, church officials at St John’s were remarking that the location of the Prophet’s Tombstone was one of only two questions tourists asked when visiting the church. George Webb, who never remarried, died in 1868 and both he and Betsy were buried with Sarah. The mountain range and valley on which the Tidbinbilly run stood was made into the Tidbinbilla Nature Reserve in 1967. Other place names, such as Mt Eliza and Webbs picnic area, also point to Sarah and her family. 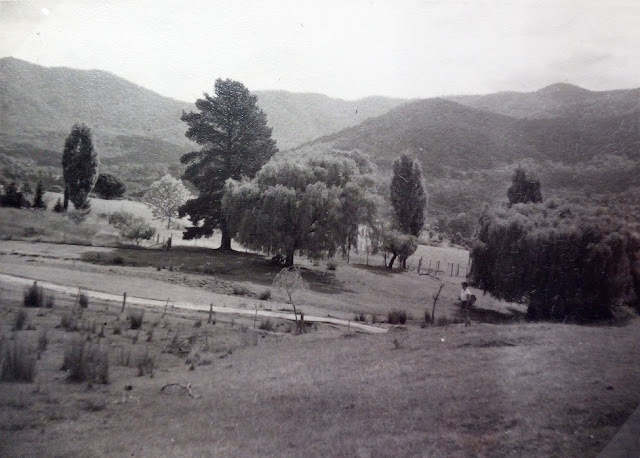 The ACT Heritage Library has a number of publications related to the history of the Webb family, as well as the history of St John’s Church. Other early photographs of the prophetic tombstone can be found in ImagesACT. 1843 'Government Gazett', The Sydney Morning Herald, 30 October, p. 4. 1848 'Claims to Leases of Crown Lands Beyond the Settled Districts', The Sydney Morning Herald, 12 October, p. 3. 1949 'Prayer Essential in National Affairs', The Canberra Times, 3 October, p. 2. 1950 'Lead to Canberra Seen in First Foundation', The Canberra Times, 15 May, p. 2. 1957 'Service Held In Memory Of George Webb', The Canberra Times , 11 February, p. 2. 1992 'A prophetic epitaph? ', The Canberra Times, 1 December, p. 8.